Microsoft has announced a list of the apps and media services that will be available for the Xbox One at launch . The list of apps and services aren't final and Microsoft says it represents the only the 'first wave'. It says it plans to announce more media partners in the future and new entertainment apps every month. You might notice there are quite a few high-profile apps that are currently supported on the Xbox 360 console that are missing from that list. There's no word yet on Sky, BBC iPlayer and ITV aren't present. Microsoft has said that all apps on the Xbox 360 will continue to be supported. 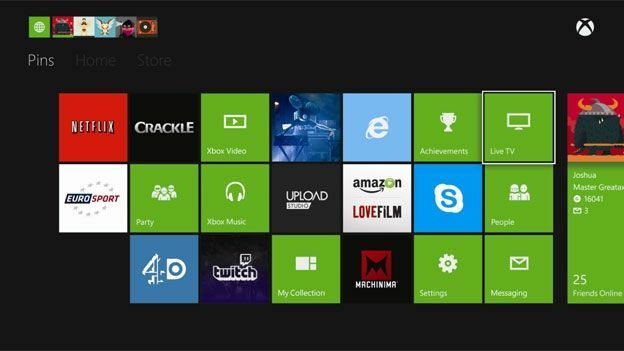 Recently, T3 got our first up close and personal look at the Xbox One's dashboard. Here's what we thought. The Xbox One is released in the UK on November 22nd.